The most frustrating part of having a broken-down car is not knowing what the problem is. 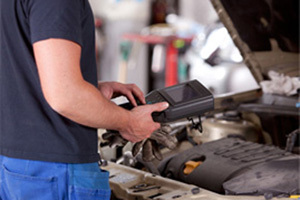 Using our methodical, in-depth diagnostic process, we can identify any existing or potential problems with your vehicle’s electronic and mechanical systems. We won’t start any repairs without your go-ahead, though. You’ll have a chance to review our itemized quote and ask any questions about the diagnosis and recommended repairs before we begin. With your approval, our highly trained technicians will provide services and repairs using only top-quality parts backed by the Tune Tech warranty.